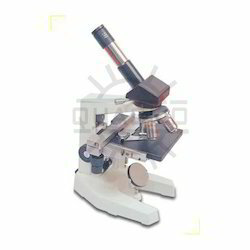 Manufacturer of a wide range of products which include biological microscope, inclined pathological microscopes and inverted biological microscope. 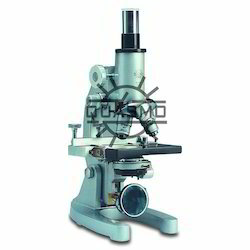 Serving our clients in the past long years, we are able to manufacture, import and export best range of Biological Microscope. 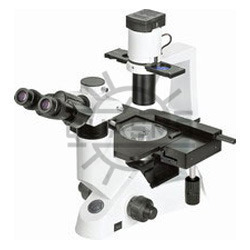 These biological microscope are fitted with powerful illumination which provides excellent viewing angles. These biological microscope have nose piece which can be precision centered and stop with smooth control for easy scanning of various specimen slides. We provide very durable and strong biological microscope at very reasonable range of prices. With the help of qualified professionals, we have been able to offer our valued clients highly efficient range of Inclined Pathological Microscopes. 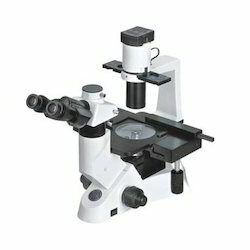 The offered microscopes are manufactured by utilizing high grade quality components and material to meet market defined norms and standards. Our offered products are widely known for their optimum functionality. Along with that, these products are checked on several quality provisions to provide a defect less range at the clients end. Inverted biological microscope in laboratory is widely used in many fields,such as biological medicine,environment protection and etc. LWD plan achromatic objectives and LWD phase contrast objectives. Especially suitable for living cells culture and observation. As per the demands of the valuable customers, we are involved in offering high grade quality of Inverted Biological Microscope. Further, the offered products are manufactured using optimum quality of raw material and highly tested for their quality assurance against various pre-defined parameters. Moreover, the offered products are available with us in bulk. Owing to its sturdy construction and optimum performance, these products are extensively demanded for various biological works for research and laboratory works by clients.